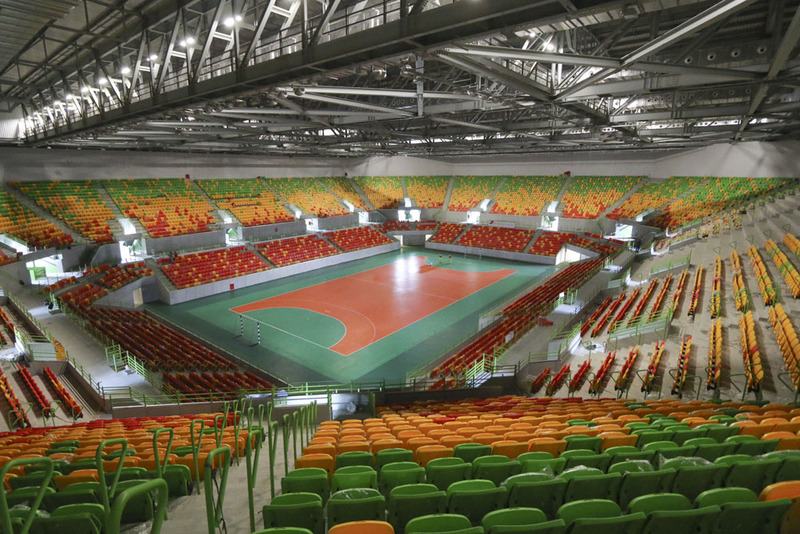 Today starts the Rio 2016 handball competition in the Future Arena. 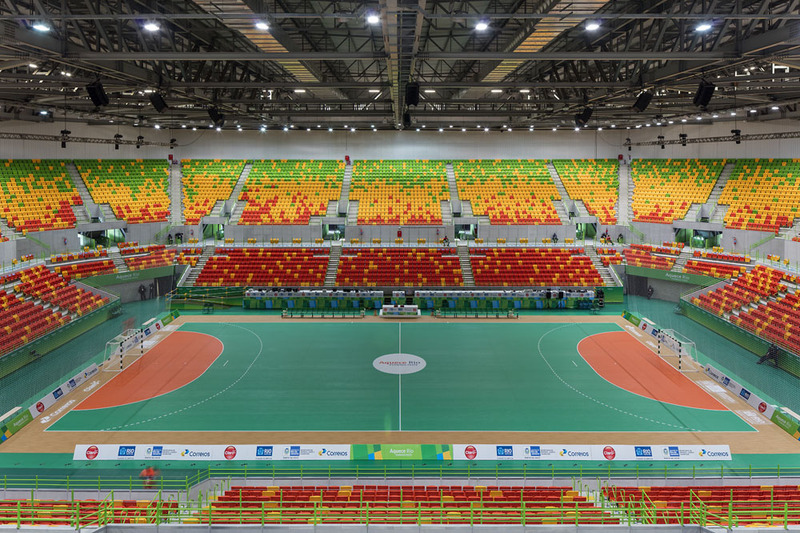 This arena, located in Barra Olympic Park, is designed by a consortium of Lopes Santos & Ferreira Gomes and AndArchitects. 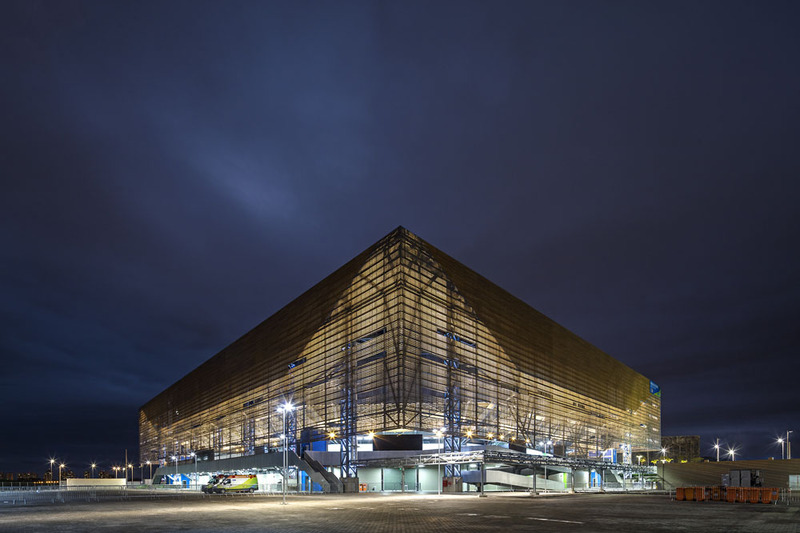 The Future Arena will be removed after the Games and reused in the construction of four schools. 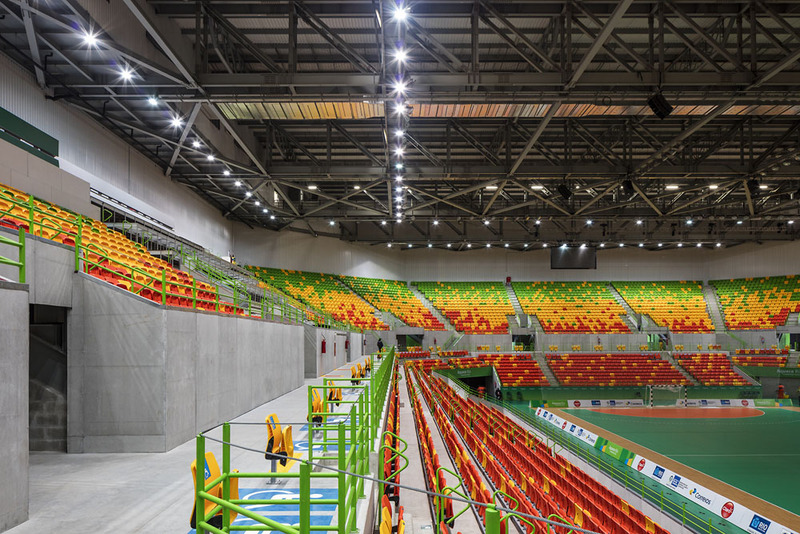 Legacy; The Future Arena will be removed after the Games and re-used in the construction of four schools. 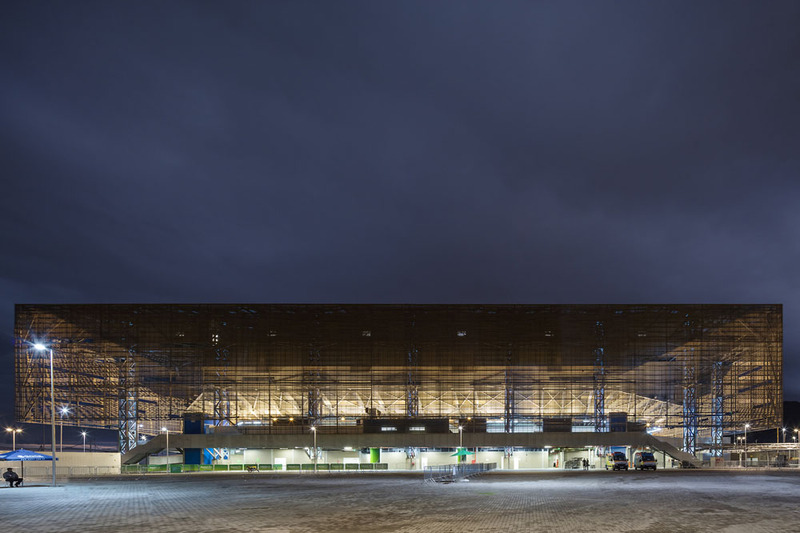 The brief for the handball arena was to build something that would contribute to the city of Rio beyond the 2016 Olympic Games. 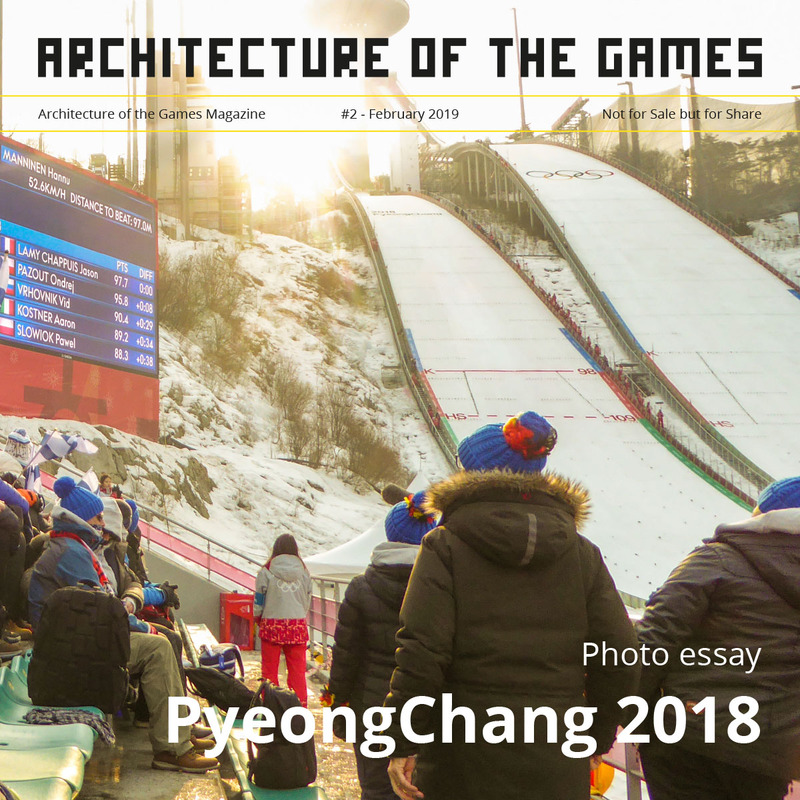 A first for the Olympics, the venue will make use of an innovative technique called “nomadic architecture”, thus ensuring that even a temporary structure can leave a lasting legacy. 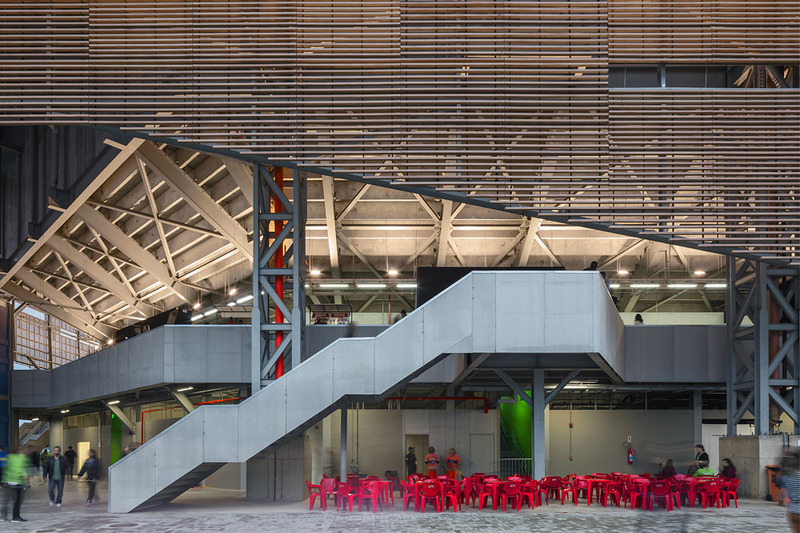 Two thousand Brazilian school children will benefit from this initiative for many years to come. 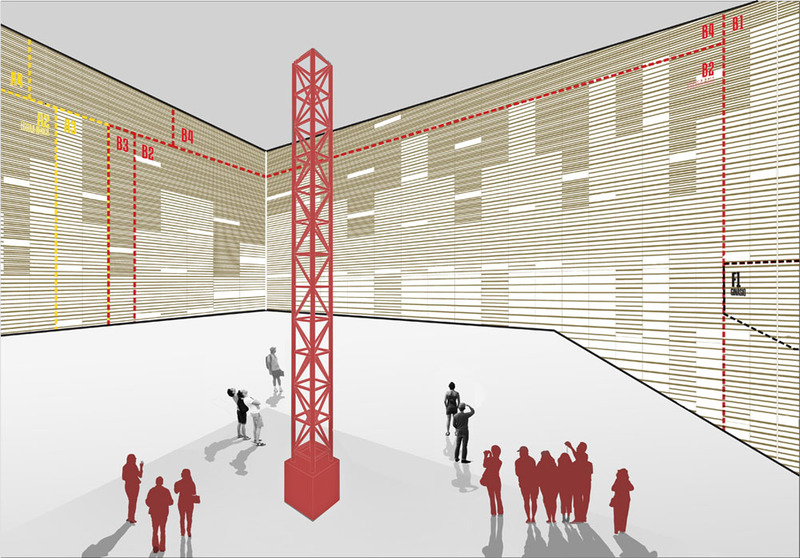 The arena will be dismantled and the components transported to four separate locations to be rebuilt into state schools. 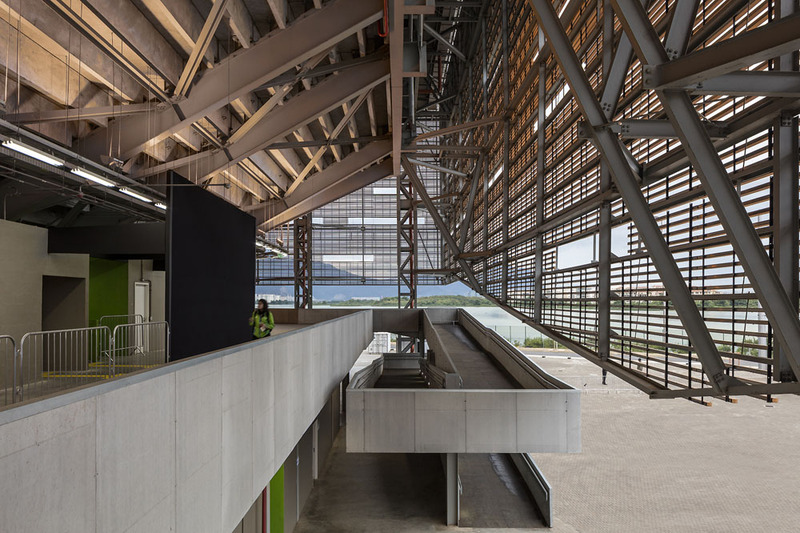 The main elements that will be reused are the roof, rainscreen cladding, main structural steel elements and disabled ramps, which will form the shells of the four schools. 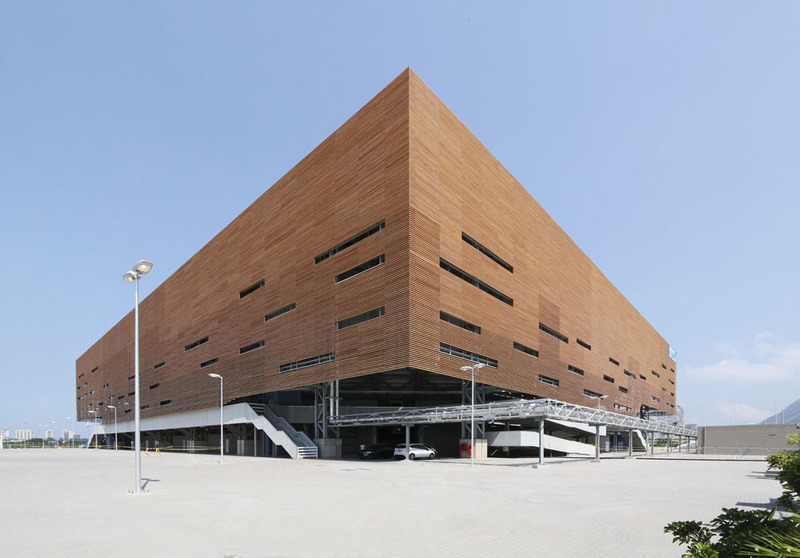 The open nature of the rainscreen and external ramp that create a distinctive architectural language for the arena will be recognisable in the architecture of the new schools. 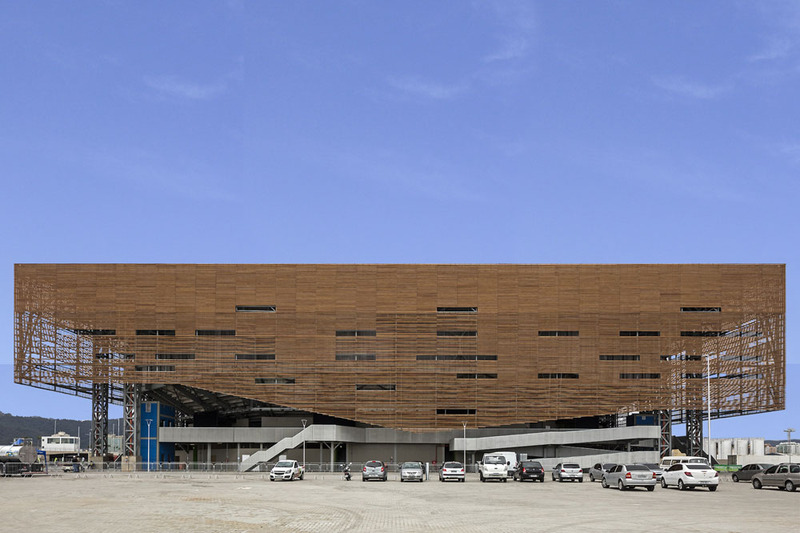 UK-based firm AndArchitects led by Rio-based practice Lopes, Santos & Ferreira Gomes provided the design for the handball arena. 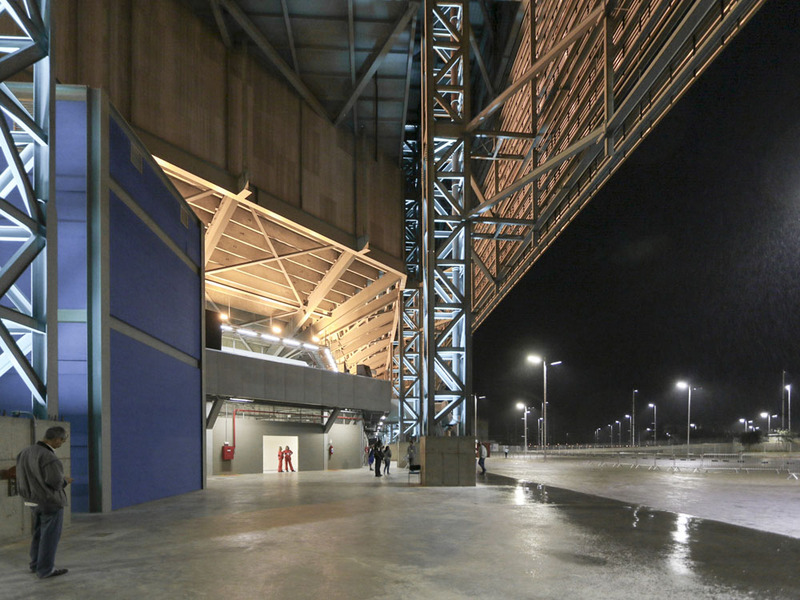 AndArchitects’ experience with six temporary buildings at London 2012 helped them jointly win the bid for this ground breaking project. Careful thought was given to what materials and systems of construction would allow this transition with minimal wasted material. 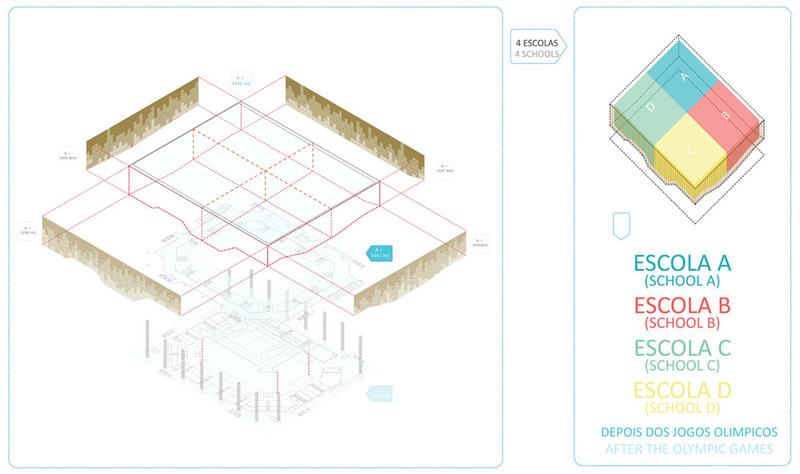 The schools were designed simultaneously with the arena. 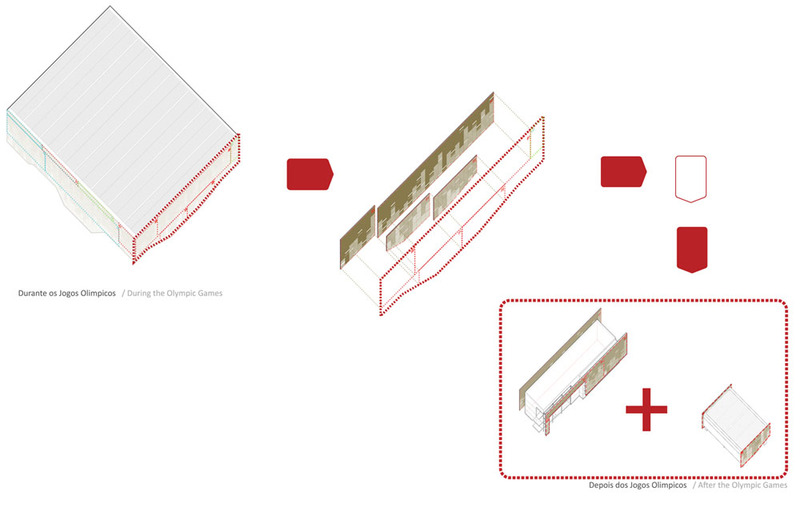 The grid for the floor plates and the roof were all designed from the outset for both buildings so that the panels on the façade and on the floor and roof could be easily relocated in order for the modules to work for both buildings. 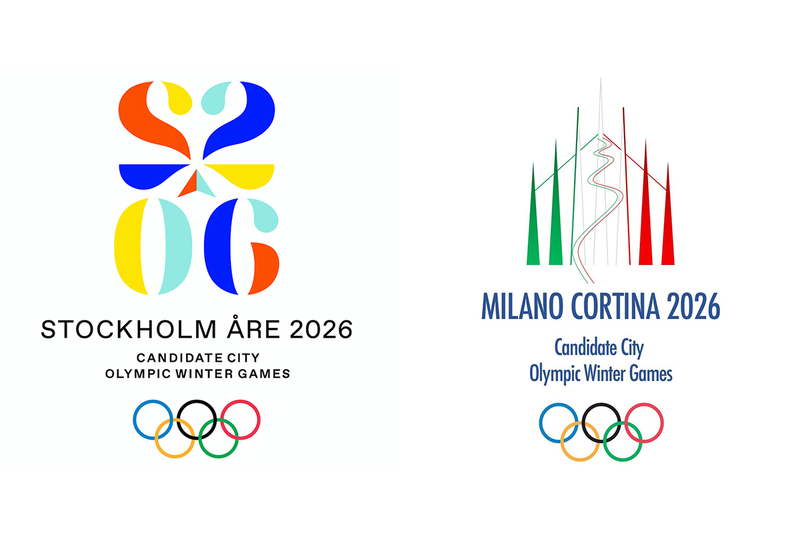 Previous PostPrevious Rio 2016 is here!